I finished my ninja! 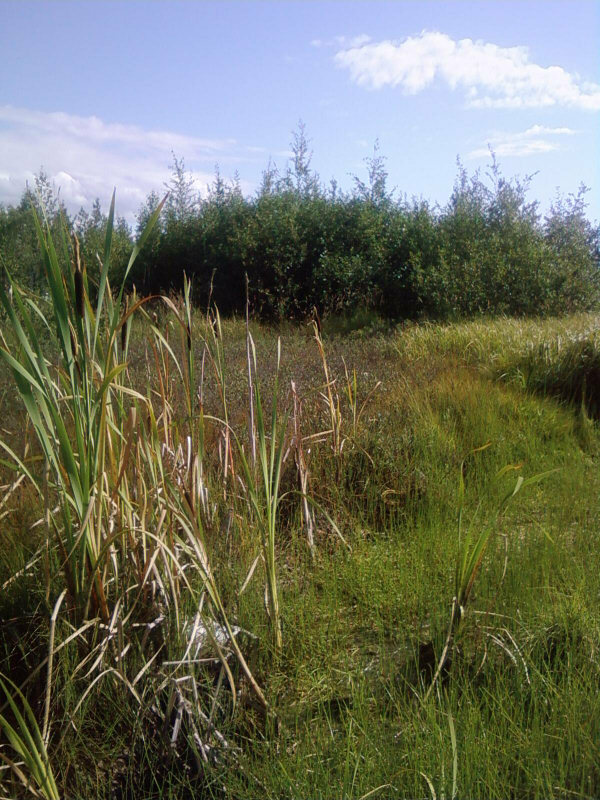 Also just because, pictures of a cattail stand that I pass on the way to the gym. For the cattail stand, click on the image for a larger version. It's not huge, I took it with my phone. Today well.. I beaded. Lots, and about 2:45 E started pointedly getting ready to go to the gym because we agreed we were going swimming today. So we went and played in the pool for a couple hours. Then Mike picked us up to go get comics and I came home and finished up the little ninja. 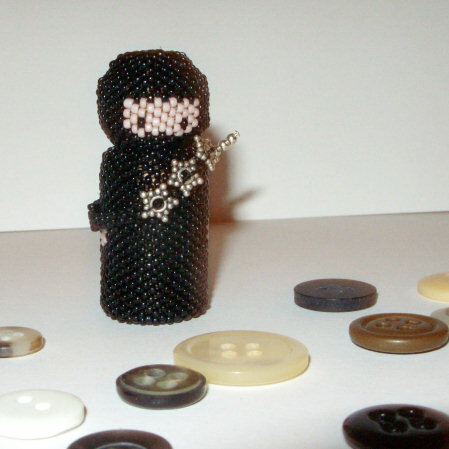 E said it was the cutest beaded ninja she ever saw. I asked her if she ever saw any others. She said "No" so I said "Then it's the ugliest, the meanest, the biggest, the smallest and the silliest beaded ninja you've ever seen as well." and she sighed and said "No. Just the cutest." Cute ninja. Love the picture of the cattails, too. Great looking Ninja - good job!! LOL at the ugliest, meanest comment. I think he's darling!